During the last week, the Finisterre team continued the underwater survey until the bad weather made impossible to keep diving. However, new materials have been discovered, photographed and mapped. New medical syringe found during the 2013 season. 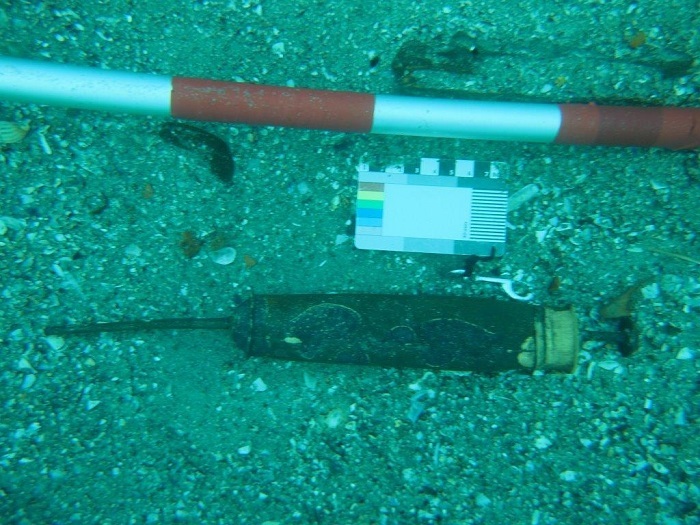 The new artifacts include three new syringes that probably were part of the surgeon’s chest of this ship. In total, six syringes have been documented since the archaeological survey works started. Another bronze cannon exposed by the sea action. 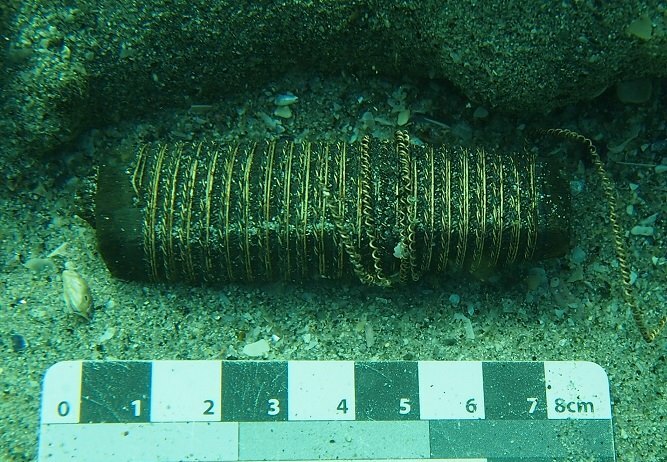 One of the this season’s most interesting discoveries has been a bronze cannon that was previously covered by a thick layer of sediment. 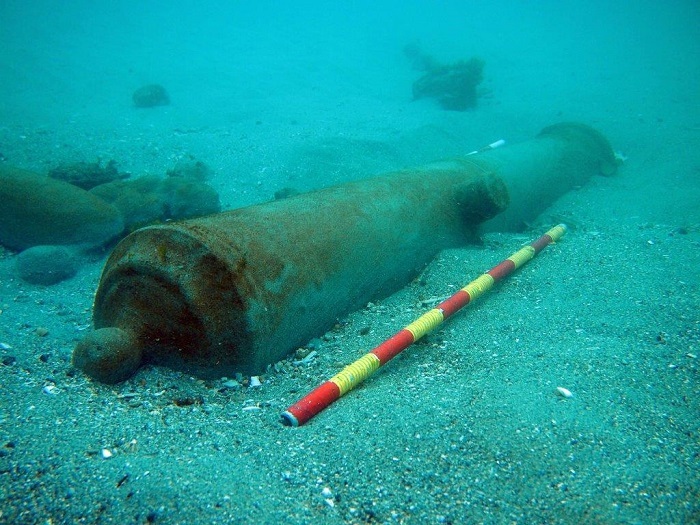 It seems that during the last periods of bad weather, the sea carried away the sand and this cannon was exposed. This is the second cannon found this season. Another interesting discovery has been tentatively interpreted as a sword hilt. It is made of wood and wire wrapped. It is an unusual piece that looks extremely well-preserved. We should not be surprised taking into account that several swords have been located in previous surveys, however, it is a very exciting find! These are not the only artifacts documented during this season. We will upload more images in our next post. Don’t miss it!